Nothing beats the comfort of a roaring fire when it is cold outside, but do not let your enthusiasm for an open hearth outweigh your common sense. These fireplace safety pointers make it easy to keep your fires from getting out of hand when you are craving a bit of winter warmth. The addition of a basic metal grate can prevent flames and sparks from jumping into living spaces. 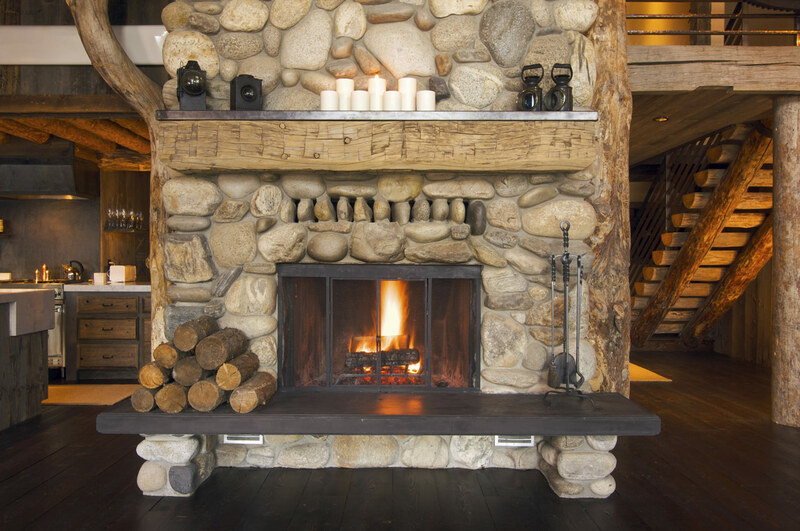 Also maintaining a clean zone between your fireplace and objects or people (at least three feet, per the National Fire Protection Association) is an excellent way to avoid unintended combustion. What you might not know is that your chimney, flue and other hidden areas also benefit from a good tidying. Although some soot is only natural, having your chimney thoroughly swept and inspected by a professional on a regular basis prevents the buildup of creosote blockages. The National Fire Protection Association recommends chimney cleanings once a year at the beginning of the winter season. If left unchecked, creosote deposits might facilitate fires that could degrade your brickwork or even spread to wood timbers. Gas fireplaces should also be regularly maintained. Some sources even recommend an annual cleaning. Although stoves are more contained, they still have their hazards. Their outer surfaces are hot, and if you open them haphazardly, flames might jump out. Always open your stove door slowly, and if it has an air intake adjuster, turn the airflow up to full before opening the door. Fire pits are great for making frigid backyards a bit more fun, but they are not to be taken lightly. Before lighting yours for a tasty marshmallow toasting session or late-night gathering, take the time to clean up the leaves in your yard and trim back any nearby foliage that has not yet fallen. Sudden gusts of wind can make it easy for sparks to leap unexpectedly, so your best bet is to eliminate combustible debris and keep your fire pit as far as possible from structures. Hire a certified chimney sweep to clean your fireplace once a year. Ensure the chimney sweep inspects for damage, including chimney liners and bricks. If necessary, have a cap installed on your chimney top to keep pests and debris out. When loading wood, less is more, and keep logs on the back of the metal grate. Use a fireplace-specific screen or door as a spark guard.